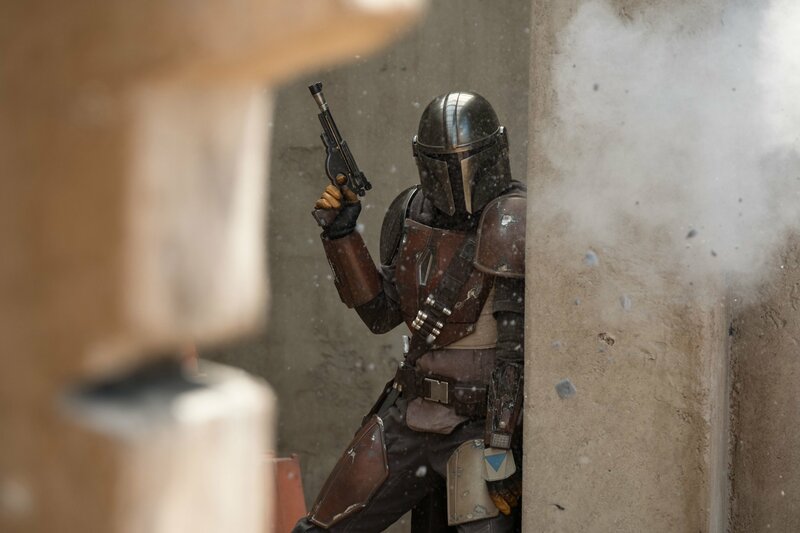 Over the weekend, attendees at Star Wars Celebration were treated to several minutes of footage from The Mandalorian. And while the preview has yet to be officially released online, one fan in the audience managed to get the whole thing on video. 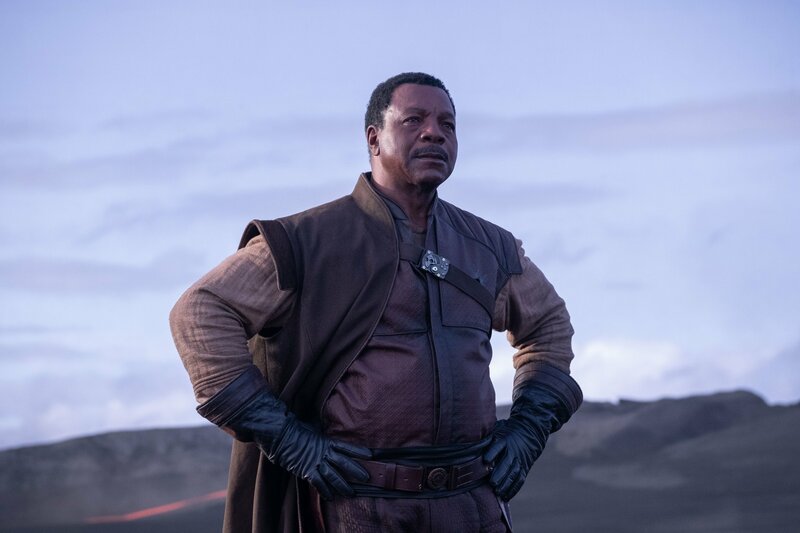 We start off with Carl Weathers’ Greef Karga offering various low-paying gigs to Pedro Pascal’s bounty hunter. Though the Mandalorian seems unimpressed, Greef then proposes a more secretive job that he isn’t allowed to put on record. We then cut to the streets outside, where the sight of a Kowakian monkey-lizard being roasted on a spit draws one of the biggest cheers from the audience. After wandering to his next location to hear about the secret assignment, the Mandalorian is greeted by Werner Herzog’s character in a room full of Stormtroopers. Things get a little tense for a moment when Omid Abtahi’s character bursts into the room, but soon enough, the Mando and Herzog are talking business. While Herzog’s character is reluctant to reveal too much about the job, he tells our hero that he’s looking for someone who’s fifty years old. As payment, he offers Beskar, noting that the precious alloy belongs in the hands of the Mandalorian warriors. 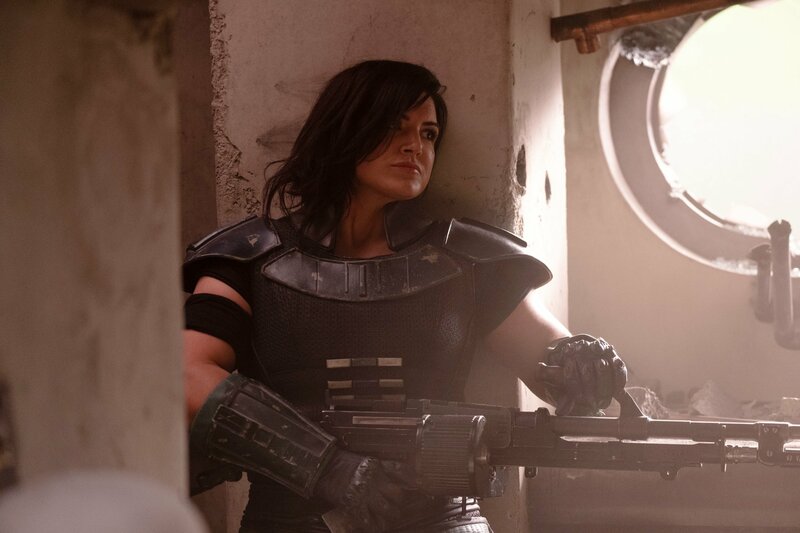 After the Lucasfilm logo appears on the screen, we then cut to a montage featuring Gina Carano as Cara Dune and Giancarlo Esposito as an apparent villain. We also see an array of supporting characters, including various droids, bounty hunters, Jawas and a Stormtrooper with a flamethrower. 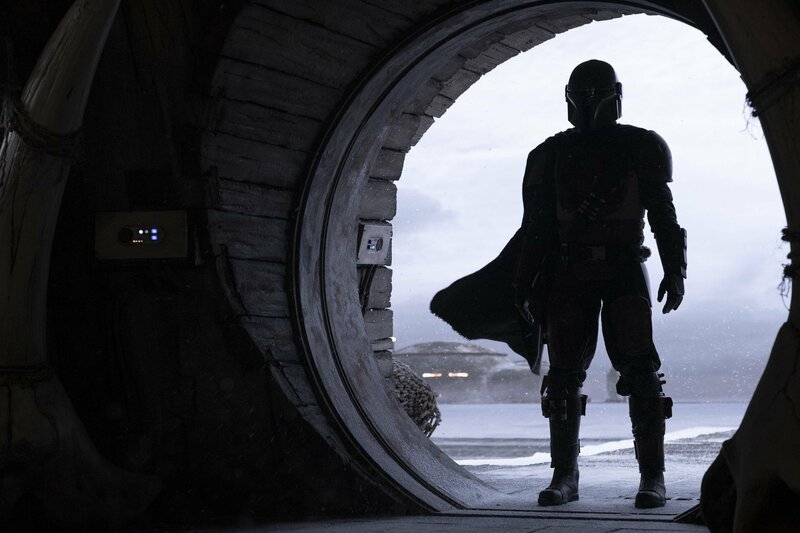 All in all, the preview gives us a lot to process, but you can bet that Luscasfilm is still saving plenty of reveals for when The Mandalorian premieres on Disney Plus on November 12th, 2019.